Guru Gobind Indraprastha University will be conducting the IPU CET counselling 2020 in the online & offline mode. 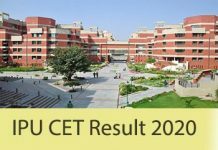 The counselling of IPU CET 2020 will begin in the month of June 2020. Candidates will be required to register for the IPU CET counselling 2020. Candidates will be required to register, fill in the choices and lock them, pay the admission fee, etc. The counselling will be an important stage of the IPU CET 2020 and all students who have qualified for the counselling must attend it. The IPU CET counselling will be held for qualified candidates. The type of counselling will depend on the course that the candidate has applied for. 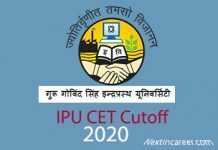 IPU CET counselling 2020 will be held in multiple rounds depending on the availability of the seats. The IPU CET 2020 application form will be released in the 3rd week of February 2020. Counselling registration of IPU CET will begin from the 2nd week of June 2020. Every applicant has to pay the IPU CET 2020 counselling fee of Rs. 1000 (Non-refundable). The fee can be paid in the online (net banking, credit/ debit card) or offline mode (e-challan). To pay the fee, candidates must log in with their credentials and click on “pay on counselling fees”. Enter details like name, roll number etc and choose a payment option (Online on offline). After fee payment, download the receipt. After payment of fees, candidates have to register for the counselling procedure. Candidates have to enter the details like roll number, name, date of birth, result status and a visual code is shown on the computer screen in the given link. After verification, candidates will be sent a user Id and password. Candidates will be required to fill the choices of the college and course that they want to opt for. Students can log in and fill in the maximum number of choices. Based on the rank class and choices filled by the candidate, the seats will be allotted to the candidate. Candidates will be required to login and check their seat allotment status. A provisional allotment letter (PAL) will be sent to the candidate and he/ she must make sure to download and take a print out of it. In order to accept the allotted seat, candidates must pay the academic fee of Rs. 40,000. After payment, take a print of the admission fee receipt. If the candidates are satisfied with the seats allotted to them, they must freeze the seats indicating they don’t want to participate in further rounds of admission. Candidates can log in and click on the freeze option. If the candidate does not accept the allotted seat, he/ she will be allotted the next preference seat in the next round. 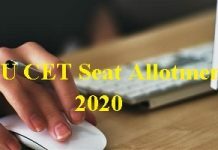 If there are seats left even after the last round of IPU CET 2020 counselling, the spot round will be held for candidates to fill the seats. After this round, no student will be allowed to withdraw their seat. Also, the category-wise and region-wise seats will be converted to general category seats. In case the candidate wants to withdraw their admission and give up their seat allotted, they can withdraw their seats. Candidates will be required to select the withdraw option by logging in to the candidate account. However, candidates can withdraw seat only before the last round also known as the spot round. The academic fee paid by the candidate will be returned and the candidate will not be eligible for any round of counselling. Those who have been allotted seats will be required to bring the below-listed documents for verification. Candidates must bring a set of photocopies and original copies of the given certificates. After the seats have been allotted, candidates will be required to report to the designated centres.